Science-based information and advice can help guide good stewardship practices that protect our forests, fields, streams, and lakes. My Woodlot is a website managed by the Watershed Agricultural Council that helps landowners care for and enjoy their woods. The site features how-to guides for more than 150 land-based activities, a weekly blog with stewardship tips, and a forum where landowners can ask questions or advise others. 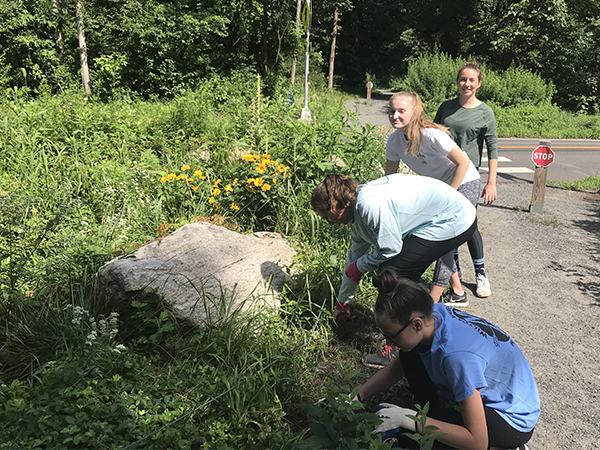 The Native Plant Center at Westchester Community College – An affiliate of the Lady Bird Johnson Wildlife Center in Austin, Texas, The Native Plant Center offers a wide range of programming, courses, and resources on the ecology and use of native plants. The Native Plant Center’s demonstration gardens on the Westchester Community College campus in Valhalla, NY are open to the public. Audubon Native Plant Database – Enter your zip code to discover the best native plants to enhance bird habitat in your locale. 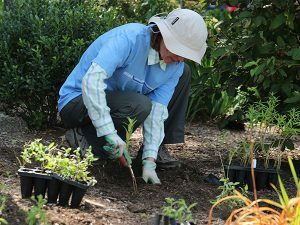 Connecticut Native Tree & Shrub Availability List – A directory of nurseries in Connecticut that grow and sell native trees and shrubs compiled by the Department of Energy and Environmental Protection. Enhancing Your Backyard for Wildlife Habitat – This practical guide from the Connecticut Department of Energy and Environmental Protection offers a primer on creating and maintaining year-round habitat features required by wildlife in urban, suburban, and rural settings. 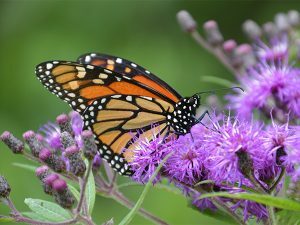 Pollinator Pathways – The Pollinator Pathways Project is a grassroots initiative based in western Connecticut and eastern New York that aims to create cross-boundary corridors of pollinator-friendly habitat on public and private properties. The site offers a compilation of pollinator resources, a calendar of local events, and guidance for individuals and towns who wish to start a pollinator pathway in their community. Native Beeology aims to educate about native pollinators and inspire people to take action on their behalf. 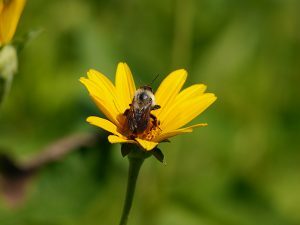 The site features a blog, a richly illustrated field guide to native bees, and resources on creating pollinator habitat. Conservation in a Changing Climate – This website from the Land Trust Alliance provides a wealth of resources and case studies to help land trusts address threats posed by climate change. How Small Forests Can Help Save the Planet – This article from the New York Times explores how privately owned forests could both generate income and help to mitigate climate change through participation in carbon markets. Backyard Buffers Guide – This practical guide created by Highstead and H2H offers information for homeowners and lake associations who wish to enhance the health of waterways by planting riparian buffers. Buffers for Beauty – The Buffers for Beauty guide developed by Mianus River Gorge offers recommended native plant species and a sample planting plan to help landowners create attractive streamside plantings that contribute to bank stabilization, improved water quality, and wildlife habitat.